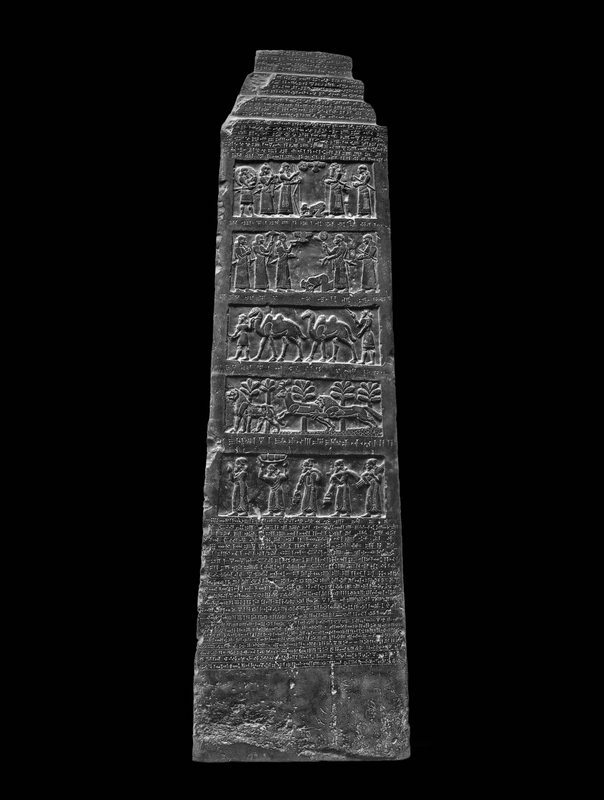 This black limestone obelisk, inscribed at the command of the Assyrian king Shalmaneser III, was found in the city of Nimrud in modern-day Iraq. 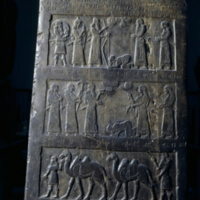 The bas-reliefs* and inscriptions on the obelisk record and glorify the achievements of the king, the impressive extent of his authority, and the vast tributes paid by his client kings, whose territories spanned a wide geographic extent, from modern Egypt and Turkey to northern Iran. Of particular interest to historians of Israel and Judah is that these client kings include King Jehu, who ruled the northern kingdom of Israel from c. 841–814 BCE. He has the distinction of being the only Israelite or Judean king of whom we have a picture: he is shown paying homage, prostrate before Shalmaneser. 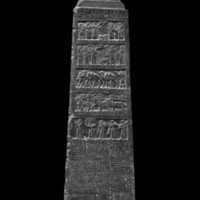 Tribute payments of the kind recorded on the Black Obelisk were made by the kings of Israel and of Judah to their Mesopotamian suzerains in the eighth, seventh, and sixth centuries BCE, first to Assyrian kings and later to Babylonian kings. Sennacherib's siege of Jerusalem in 701 BCE and Nebuchadnezzar's sieges of Jerusalem in 597 and 586 BCE were the result of Judean king's decision to refuse payment. *Bas-reliefs are a type of sculpture that depicts figures and faces in a shallower form than their usual proportions. 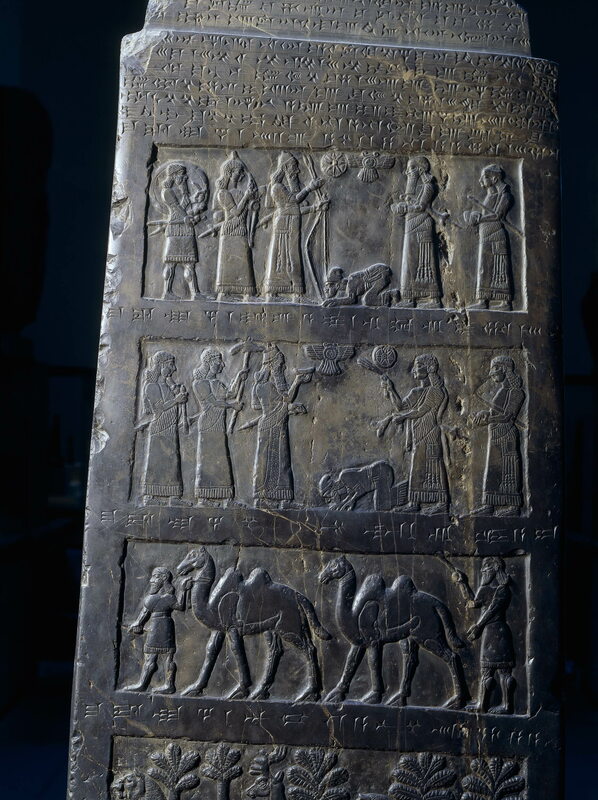 Bas-reliefs allow the inscription to be viewed from many angles without distorting the image.